Now you can enjoy the fun of hibachi style cooking in your own home. 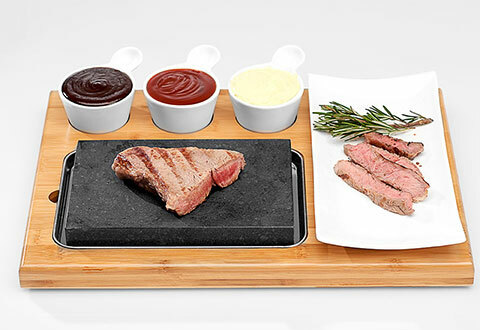 The Perfect Steak Stone Cooking Set lives up to its name by helping you prepare the best steak, fish, vegetables and more right at the dinner table. Just heat the steak stone in the oven or on a grill, then place it on the table in the stainless steel tray. Food cooks on the stone, right before your eyes. 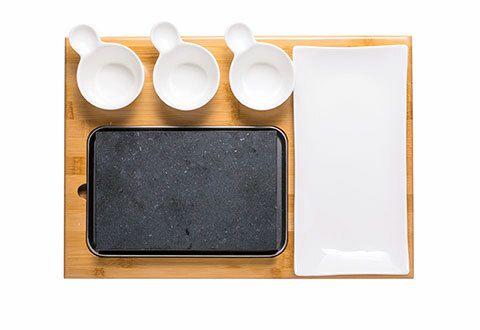 Includes 100% food-grade basalt steak stone, stainless steel tray, bamboo serving platter and ceramic ware for side dishes. 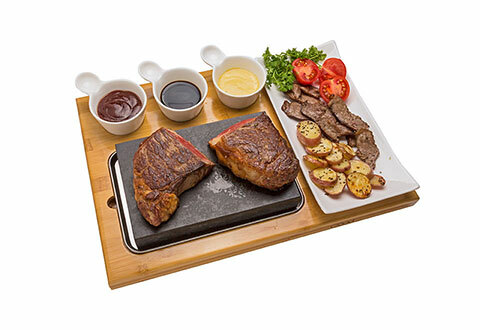 The Perfect Steak Stone Cooking Set lives up to its name by helping you prepare the best steak, fish, vegetables and more right at the dinner table.